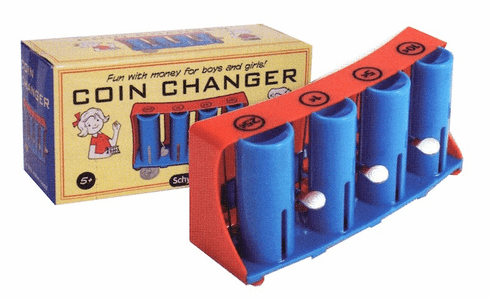 Plastic changer allows you to release coins on demand by pressing the lever. Slots on back let you attach it onto a belt. Why yes, I do have change for a dollar.